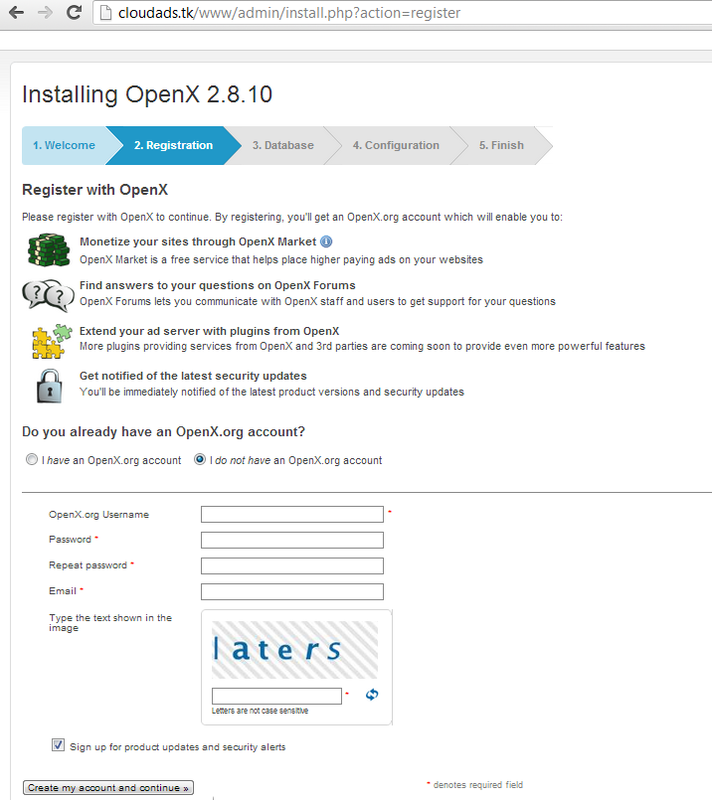 OpenX is a popular advertisement server written in PHP. 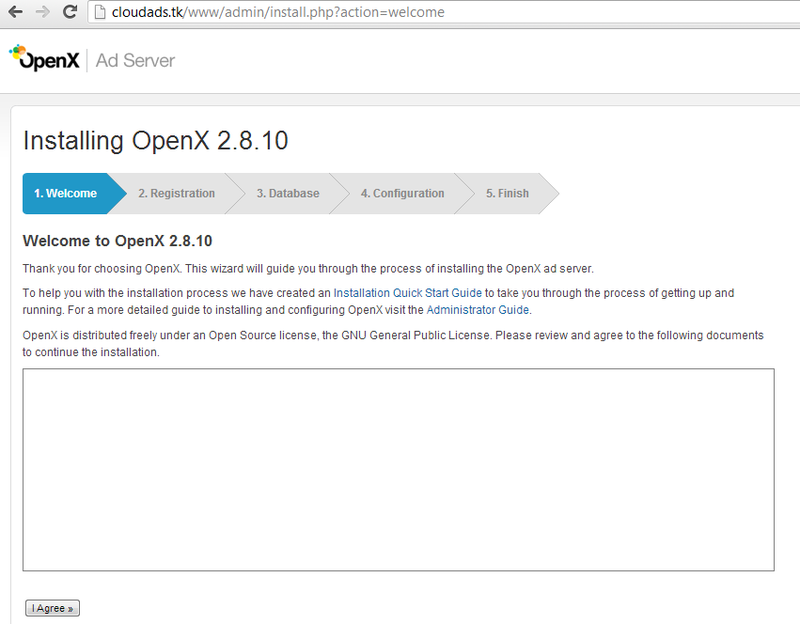 It has a web interface that allows you to easily manage your ad campaigns and track statistics. Having a domain name is essential. 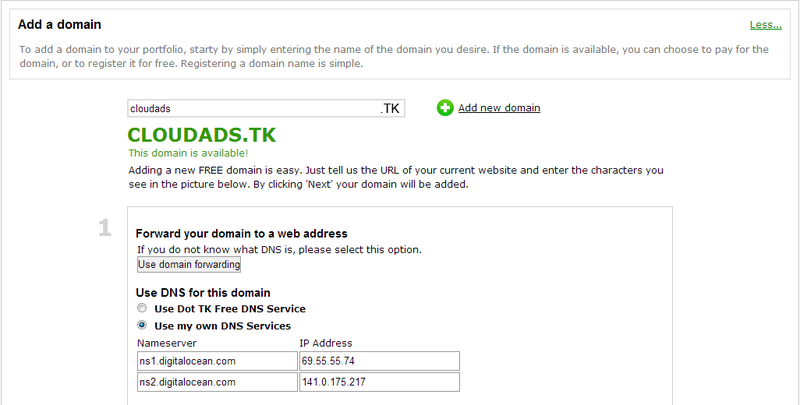 If you would like to get a free domain, you can get one from dot.tk. Spin up a Ubuntu 12.10 x64 droplet with at least 1GB of RAM and 1 CPU Core. 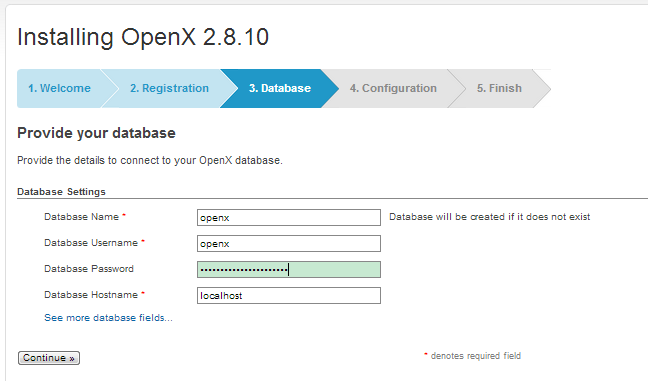 As your OpenX server grows, it would be best to separate database from webserver, and scale them up separately. 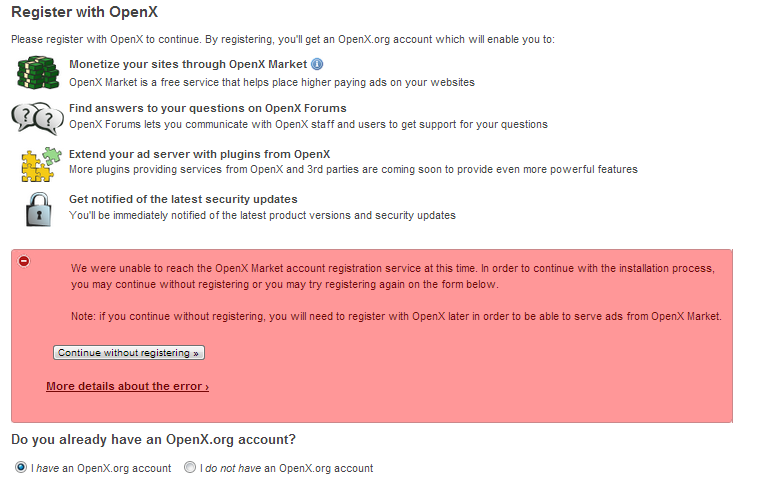 If you are just starting out, a single server would be sufficient for both. 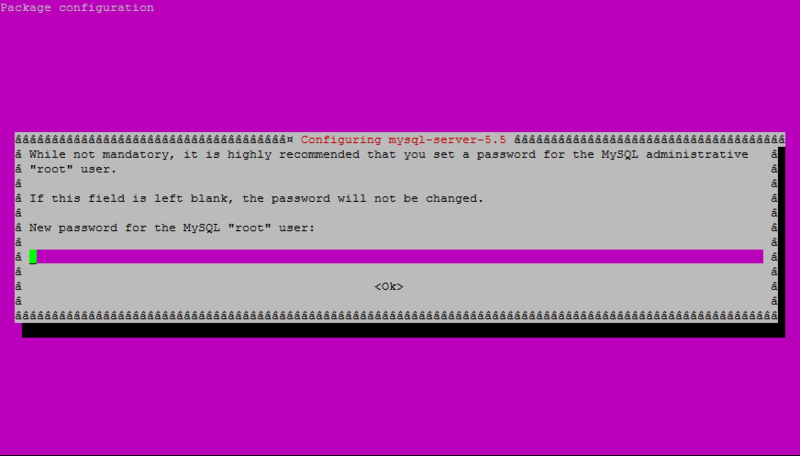 mysql -Bse "create user 'openx'@'localhost' identified by 'PassWord'"
mysql -Bse "grant all privileges on \`openx\`. 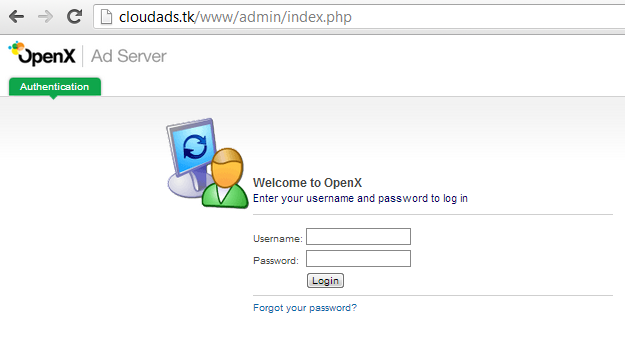 * to 'openx'@'localhost'"
You can register for OpenX Market at http://pc.openx.com/ or your OpenX Admin Panel (My Account -> OpenX Market -> Get Started). 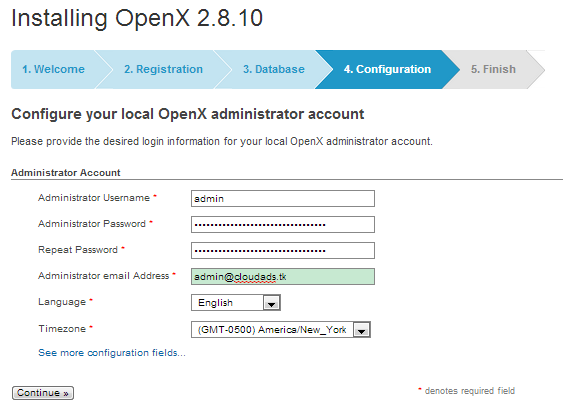 In this next step, you will enter OpenX database credentials that we set in Step 4.